Dr. Arie Carneiro MD, PhD, urologist at Albert Einstein Center of Oncology, commented: "In recent years we have experienced a great technological and information revolution. Patients are more sophisticated and well informed with often very different demands and priorities. Organ-sparing surgery is widely used for various neoplasms. The prostate has a particular anatomical location, hindering multiple surgical access and making partial surgery impossible. Prostate ablation with different energies has been proposed for focal treatment; however, safety and precision were the main limiting factors for the most of these approaches." "Focal One certainly fills this gap by enabling accurate and safe treatment through advances in both resonance technology and robotic control. 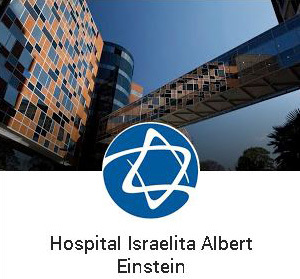 The Albert Einstein Hospital, as a reference cancer center, sought this technology in order to offer its patients an individualized approach, making available all the possibilities of treatment of localized prostate cancer, with the objective of achieving the best possible outcomes according to the characteristics of the patient and tumor. As a Latin America reference center, our research team will continue to produce scientific data to enhance the role of focal therapy and explore ways to further improve outcomes, as well as cost-effectiveness to the public and private health system." Nicolas Poutrain, International Business Unit Director added: "With more than 70,000 new prostate cancer cases per year, Brazil is by far the fastest growing country for innovation and robotics in the management of localized prostate cancer in Latin America. The recent acquisition of Focal One by Albert Einstein Hospital in Sao Paulo, the leading private hospital in Brazil, is a significant milestone and achievement, as it will help EDAP and its local partner H. Strattner, to develop its strategy to offer HIFU to all main prostate cancer centers in Brazil." Marc Oczachowski, Chief Executive Officer of EDAP TMS, concluded: "We are excited by the sale of our third Focal One device in Brazil, one of the largest prostate cancer markets in Latin America. We look forward to continuing our HIFU expansion in this region of the world."